Recently, the chief of Deutsche Bank initiated a new discussion by making a statement that he may replace a significant number of his employees with robots. A firm in Japan, Mizuho Financial Group, has claimed that it will replace as many as 19k employees with AI by 2027. And almost every renowned organization has published about the influence of Artificial Intelligence in financial services, banks, healthcare sector, education, and what not! For those, who do not know how the banking sector is thinking of leveraging AI, read further to grab this information in a jiffy. The involvement of Chatbots and Virtual Personal Assistants to interact with customers and solve their issues. Profiling customers to offer a personalized communication to customers. Streamlining processes using machine learning algorithm to reduce the cost. Spotting patterns to identify fraud or money laundering. However, this is not as easy as it is depicted. In reality, accomplishing this is a hard nut to crack. A survey of Financial Times depicted that the use of AI can surely help in cutting costs and boosting returns. But there is only a little consensus about the use of Artificial Intelligence in banking sector, this industry feels that the prediction and goals are announced way too ahead of time. Today we lack the knowledge and machines to accomplish the goals announced. Also, the advancements that will help machines as skillful as humans have not yet arrived. Also read: How Is Artificial Intelligence Transforming Mobile Banking? If taken as a group, banks agree that but their strategies for using AI vary drastically. Overall, while banks are experimenting with AI across their businesses, they are not as aggressively confident as public proclamations. So is it all a hype? Yes of course, for now it’s just a dream! We cannot just allow Artificial Intelligence in finance without taking proper measures for its security. If we fail to do so, any major cyber breach will render us vulnerable. Unrealistic expectations aren’t the only hurdles that banks are facing as they intend to dive deeper into the AI. Several experts have conveyed that there is a danger that too much investment flows into areas such as Chatbots, AI, Machine Learning algorithms, etc., at the expense of other crucial things. So, against all the noise, where are banks focusing their AI goals? The answer to this depends on what banks are considering AI to be. Do they want them as staff or something else? The ones who have participated in the FT’s research came up with definitions quite narrow. The look at it as a program that perform more than just basic functions. Should We Bother About Job Cuts? Banks are highly sensitive about alarming staff and unions about job cuts. Instead of talking about how AI will take their job, they focus on talking about releasing their employees so that they can do more interesting jobs. And since the AI debate has been initiated, banks have changed their messaging and are focusing on revenue growth. This will not only determine the potential of AI features but also guide about the cost cutting. The banks are surely working towards bringing smarter solutions to their customers, but they are not thinking about replacing their staff. Rather than focusing on “AI replacing workforce, they are working for, AI empowered workforce.” Therefore, you should not be worried about AI eating your jobs, for now. We are still at the stage when banks are finding it difficult to decide in which area should AI be used! 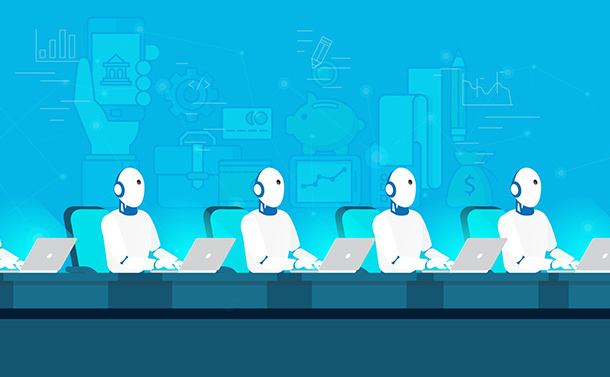 A few professionals even claim that Artificial Intelligence in financial services may seem quite ‘shiny’ initially, but have only marginal improvements compared to the traditional methods. This doesn’t mean that they have left hope for AI, the experts are constantly experimenting. As AI projects pull banks in several different directions, evaluating the results is often a daunting prospect for outsiders. There is a line between prediction and possible implementation, one needs to know about it and then make any judgement. We hope that the hype about AI in finance and banking sector settles down so that experts can focus on their work. What do you think? Do let us know in the comments section below!